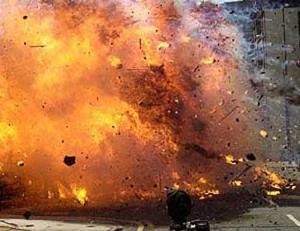 Nigeria: Eye witnesses say that a suicide bomber has blew himself up at the market place, in the northern part of Maiduguri. The blast killed 20 people and injured many, of which an official announcement is yet to come. Before this incident took place, the town was attacked by the extremists of the Boko Haram Movement in the morning, early hours. After the attack, a few hours later a person had blew himself up at the Gomberu cattle market, eye witnesses say. One of the witnesses said that he had counted more than 20 dead bodies laying in the market after the blast. more than 30 persons were killed in the attacks, in this week alone. Conditions worsened gradually in the area, with the extremists killing people in blasts. President Muhammadu Buhari announced in that he would be moving the military head quarters of the war to Maiduguri from Abuja, the central capital of Nigeria. Maiduguri, is the birth place of Boko Haram, also the biggest city of northern Nigeria, The Times of India reports.